Would you love to feel relaxed? Well, that’s where I come in. 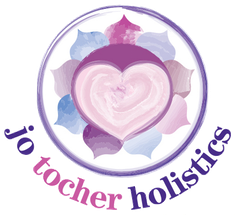 I’m a Holistic Therapy practitioner and Stress Consultant, practising in North London. So what exactly does that mean? It means I believe in the power of the body to heal itself, and that with the right guidance and understanding of our illnesses and conditions we can all learn to live longer, happier, healthier lives – naturally. I know only too well the pressures of a high-powered corporate job can affect your health, having become unwell myself after years in the business world. So I took time out to explore alternative therapies, completed a Diploma in Aromatherapy at the Tisserand Institute in 1997 (TIDHA) and haven’t looked back since! I now offer treatment and support using a variety of different techniques including heart screening, Aromatherapy massage, Indian head massage, hypnosis and Reiki, Relaxation Classes. I’m a trained practitioner in the Chrysalis Effect programme and Stress Management. I use my skills to tailor a personalised approach that can help combat conditions such as chronic exhaustive conditions. I’m also a Professional Member of the M.E., CFS and Fibromyalgia Recovery Association. I was drawn to working in this area after seeing so many people getting ill due to stress. I’ll take the time to get to know you and understand why you feel run down, unwell or lacking that energy we all need to enjoy life to the full. My goal is to help you transform your life by finding a natural rhythm and flow that work for YOU. This may involve re-evaluating your whole lifestyle and making some big changes. But I truly believe if we don’t indulge our passions and follow the right path in life, we often pay the price with our health. I look forward to helping you find that path.